CCNA is one of the most famous Cisco certification among the fresher as well as experienced professionals. It is an entry level certification from Cisco systems for the professionals who wants to make their career in the networking field. CCNA can be prepared from home by reading CCNA books. Whether you are a beginner or experienced you have to study the books for clearing CCNA exam in one go. Many students opt for dumps to pass CCNA exams, which is wrong way to pass CCNA exam in my opinion. Dumps might be able to help you to pass the exam easily but they cannot give you a solid understanding of the subject. In today’s era value of knowledge is more necessary than a certification. CCNA certified professional able to get interview calls easily, however, those people who have deep knowledge of their domain are able to clear the interview easily. 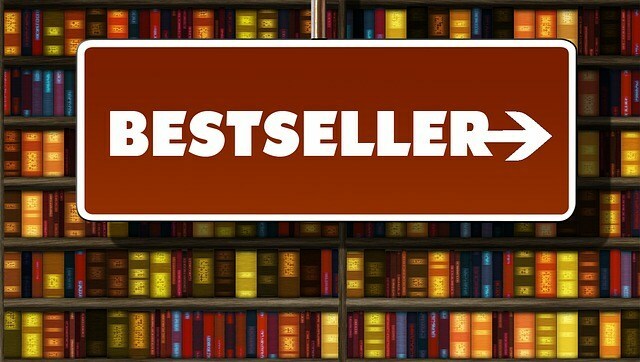 There are few recommended books for CCNA which will be helpful for all the CCNA aspirants whether they are taking CCNA training or doing self-study. They will surely help you to pass the exam in one go if you prepared well and keep focused. CCNA syllabus, practice test, questions, test papers, etc. are the content in these books. While reading the CCNA books do make sure to create notes of the topics which will help you to revise the syllabus at the time of CCNA exam. This CCNA study guide is authorized by Cisco systems and it is rated one of the best book for CCNA preparation. It covers Interconnecting Cisco Network Devices Part 1 & Part 2 exam tutorial. Part 1 courseware consists simple networks, LAN/WAN connections, Ethernet LANS, Wireless LANS and other network management. Part 2 of Interconnecting Cisco Network Devices includes advanced and expanded knowledge of part 1 topics along with router and switches concepts. The amazon rating is 4.1/5. This CCNA book is mostly famous by his author name Todd Lammle. I think it is the most popular book for CCNA exam preparation. Every CCNA aspirant might be aware with the name of the author. It consists full length practice questions along with the concept of CCNA Routing and Switching. You will get 4 set of full-length practice question sets. Amazon Rating 4.5/5. This CCNA exam preparation book consists a massive set of more than 350 questions based on real life industry scenario. 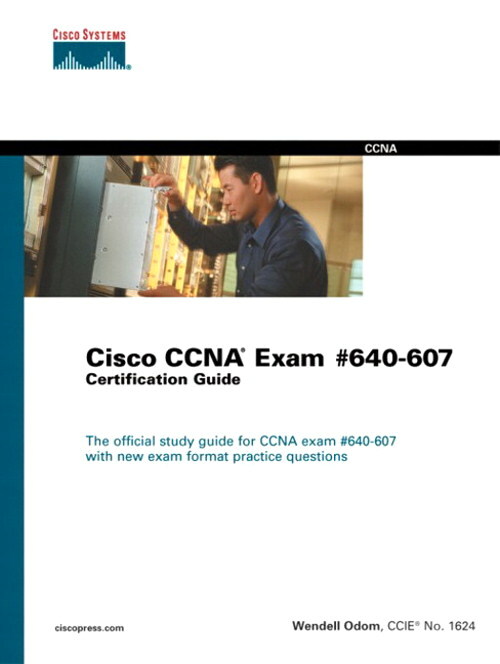 You will also get 500 CCNA practice questions to evaluate yourself and check your knowledge. 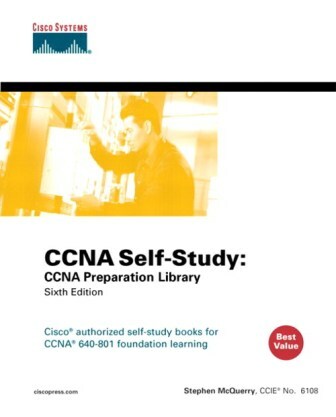 This exam prep library is recommended for last minute revision before the CCNA exam. Amazon Rating 3.7 Stars. The latest edition of CCNA exam certification guide is a hit among the beginners as well as industry experts. It consists the latest format of CCNA questions and it received some great review from industry experts. Main course contents of this CCNA study guides are Internetworking functions of each layer of OSI reference model and their working, Functionality of Cisco IOS(r) software and TCP/IP and IPX protocols, Segmentation of networks using routers, switches and bridges and Use and configuration of Catalyst switches, STP, and VLANs. The amazon rating of this book is 3.6 stars. 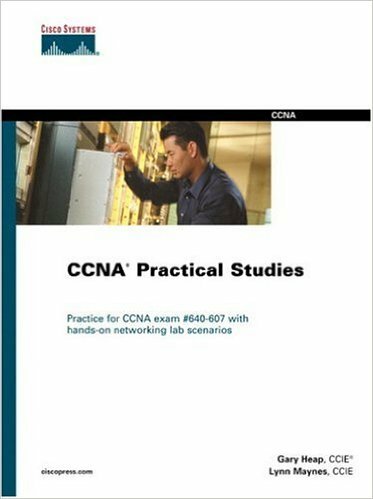 This CCNA practical study exam guide is useful for both the CCNA exams 640-607 and 640-801. It provides better hands-on experience on real life networking labs scenario. 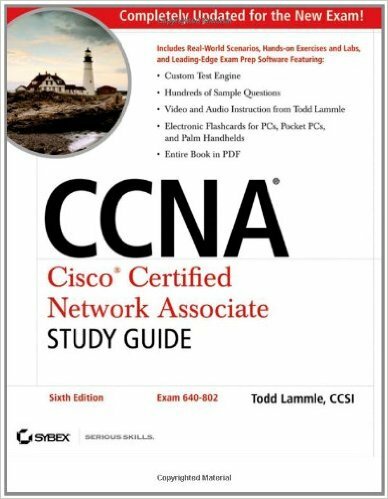 This books consists around 500 pages of CCNA information, mainly focused on the different type of lab environments like remote access labs, networking lab, etc. 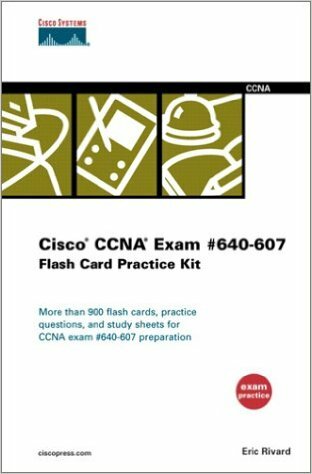 I hope these Best CCNA books will help you the pass the CCNA exam in one attempt. If you any query, comment or suggestion just drop a mail. I will be more than happy to help you.